call up video content with spoken commands; behind the scenes, it’s the Knowledge Graph that matches those commands with actual shows, channels, and Web content. Google Now, a Siri-like service that displays just-in-time information cards on Android phones, is also powered by the Knowledge Graph. And the applications will only multiply as more teams at Google figure out how their own products can benefit from the huge database, Thakur says. “The Knowledge Graph is general backbone for representing knowledge, and is a service to the entire company,” he says. As everyone knows, there’s a single revenue engine that drives Google’s whole universe of activities, from smartphones to robot cars to the $300 million it puts aside every year for Google Ventures, its in-house venture firm. That engine is AdWords, the program that lets advertisers bid to place cost-per-click text ads in the right-hand column of search result pages for specific keywords. AdWords accounts for about 70 percent of Google’s overall advertising revenue, while AdSense, which places ads on partners’ sites, brings in the other 30 percent. In a situation like this, you might think the company would be allergic to any new idea that changes the way AdWords ads are displayed. But this is exactly what the new knowledge panels do. In fact, they sometimes push the ads so far down the right column that users must scroll or click to the next page to see them. Lord knows there’s a good argument for letting Google engineers do their thing. Long before universal search and Google Instant and the Knowledge Graph, Google had superior ranking algorithms, which is how the company stole users away from older search engines and built a user base worth monetizing. But it’s still breathtaking to visit a company that puts so much faith in innovation. The attitude seems to be: Yes, we might break something, but if we do, we’ll fix it so that it’s even better. 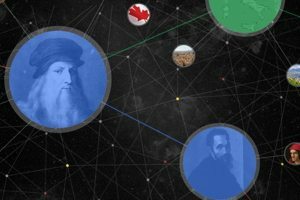 After all, it’s possible that the Knowledge Graph could end up improving the algorithms Google uses to rank the relevancy of ads, perhaps leading to higher click-through rates and even greater revenues. “In today’s search system we see today’s design of ads, and tomorrow you will see tomorrow’s design of ads, and we don’t fully know what that is,” says Singhal. These “small” problems include better speech recognition, spoken-word interfaces, computer vision, natural language understanding, machine translation, and contextual awareness—all tough computer-science challenges that legions of PhDs at Google are gradually chipping away at. The results will be seen not just in the classic desktop search scenario but also in Google’s mobile interfaces, such as Google Now, which anticipates your questions based on your location (automatically retrieving a boarding pass as you approach the airport, for instance). Singhal and many of Google’s other top engineers are old enough to have grown up watching Star Trek, and you can’t talk with them for very long without hearing a mention of the ship’s computer, which was seemingly ever-present and all-knowing. In fact, when Google Now was in development it went by the code name Majel, a reference to the late actress Majel Barrett, who supplied the voice of the computer systems in Star Trek: The Next Generation and other spinoffs. This science-fiction vision still grips Google today—and Singhal sees the acquisition of Metaweb, taking Google beyond a purely statistical understanding of the world, as a critical step toward achieving it.